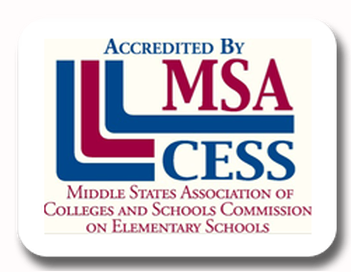 Early Childhood Academy PCS (ECA) is fully accredited by the Middle States Association of Colleges and Schools*. ECA has demonstrated that it is effectively and consistently providing high quality programs and educational experiences to all students. *ECA extends its appreciation to Mrs. Reem Labib Tyson, who was instrumental in guiding us in this endeavor, as well as to all of our dedicated staff, who worked tirelessly and diligently throughout this rigorous process.